The Unalaska Public Library needs help. As part of the renovation, there’s a community survey looking for your feedback on suggestions. "We've heard from the public about some of the big decisions we need to make for the library building and now we're starting to drill down to a little more detail," said City Librarian Karen Kresh. "What do you mean when you say you wish the library had a coffee shop? Where would you like the computers in the library to be located? Do you want us to have windows that open or do you want the windows not to be able to open?" If you use the library, you're eligible to complete the survey. Because the renovation should make the library last another 20 years, Kresh wants to get as much community feedback as possible. "I don't know if I'll be around then, but the community will still be around so I want to make sure the library is what the community wants and not just what the staff at this moment in time are hoping for," she said. The survey takes under 10 minutes to complete. Kresh says if you have feedback, now is the time to speak up. "This is the part of the project where it's the most likely to have an impact," Kresh said. "Later on when we get to choosing furniture and where the outlets are located, it's not as easy to incorporate large scale public input." All of the responses from the survey will be sent to the library’s consultant. "Your answers won't go directly to a library staff member," Kresh said. "If there's anything you want to say that you think we may not like, it will bypass us and it will still be collected as part of the data." The consultant will compile all the responses which will be turned into a report and presented to the city manager and city council. Kresh expects the report will be completed by early February when the library architects are scheduled to be back in town. The survey is open through Jan. 12. 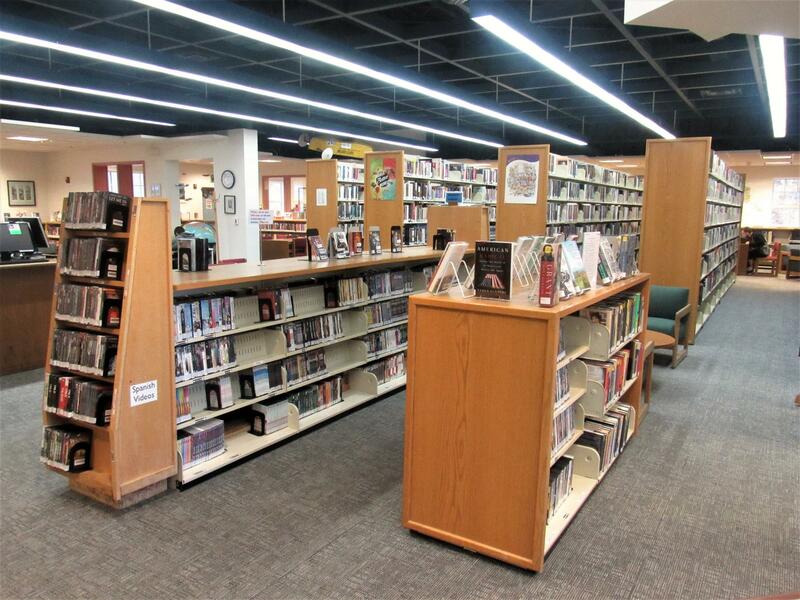 The architects designing Unalaska's library renovation are considering a new option. Rather than expanding the building south toward the senior center, as initially proposed, they're looking at expanding it to the north. Principal Architect Brian Meissner — of firm ECI Hyer — proposed the idea last week while updating the community on the project, expected to grow the library by about 3,000 square feet. Designers are closing in on a final concept design for Unalaska’s library renovation, and they’re looking to give readers a lot more room to maneuver. This week, architect Brian Meissner presented a handful of redesign options to the community and the Unalaska City Council. His goal is to address the 18-year-old library’s biggest drawback. The City Council has hired an architect for Unalaska's library expansion. On Tuesday, councilors awarded a $163,451 contract to ECI Hyer Inc. of Anchorage — the same firm that drafted preliminary concept designs for the project last year. The resolution passed unanimously after testimony from Director Roger Blakeley of the Department of Parks, Culture, and Recreation. He said the selection committee received six bids. The city is moving forward on plans to expand Unalaska's public library. Six companies have bid on the chance to design the renovation, according to City Manager Thomas E. Thomas. On Tuesday, Thomas said city officials are reviewing those proposals and planning to make a recommendation to the City Council by the end of the month. Over the next three years, Unalaska’s library is scheduled to undergo a major expansion. City officials released a timeline for the renovation last month, after architects finished the preliminary design. They plan to hire an engineer next winter to finalize the blueprints and then pick a construction company by early 2020.